"Yankee Clipper" crater on Mars carries the name of the command and service module of NASA's 1969 Apollo 12 mission to the moon. 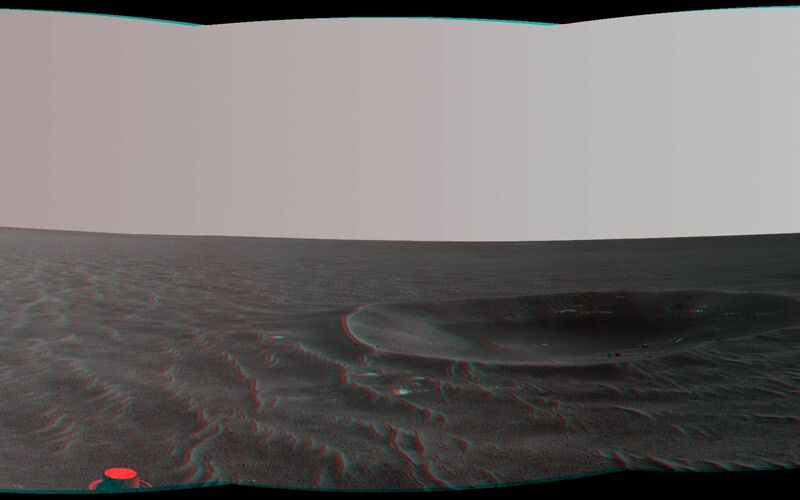 NASA's Mars Exploration Rover Opportunity recorded this stereo view of the crater during a pause in a 102-meter (365-foot) drive during the 2,410th Martian day, or sol, of the rover's work on Mars (Nov. 4, 2010). The scene appears three-dimensional when viewed through red-blue glasses with the red lens on the left. It combines images taken with the left eye and right eye of Opportunity's navigation camera. Yankee Clipper crater is about 10 meters (33 feet) in diameter. 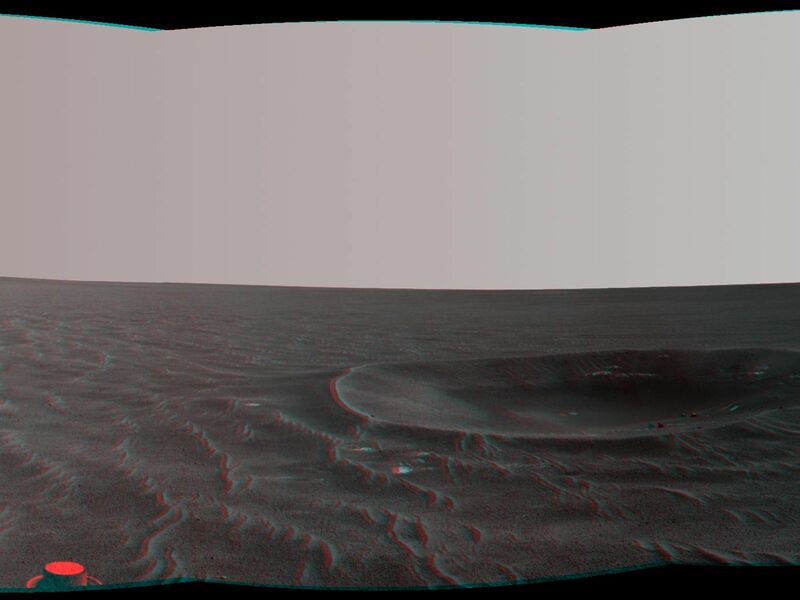 The rover science team uses a convention of assigning the names of historic ships of exploration as the informal names for craters seen by Opportunity. Apollo 12's Yankee Clipper orbited Earth's moon while the mission's lunar module carried two astronauts to the lunar surface on Nov. 19, 1969, and later brought all three of the mission's astronauts back to Earth, arriving Nov. 24, 1969. A dramatic view of Earth rising over a lunar horizon, taken from Apollo 12's Yankee Clipper, is online at http://spaceflight.nasa.gov/gallery/images/apollo/apollo12/html/as12-47-6891.html.